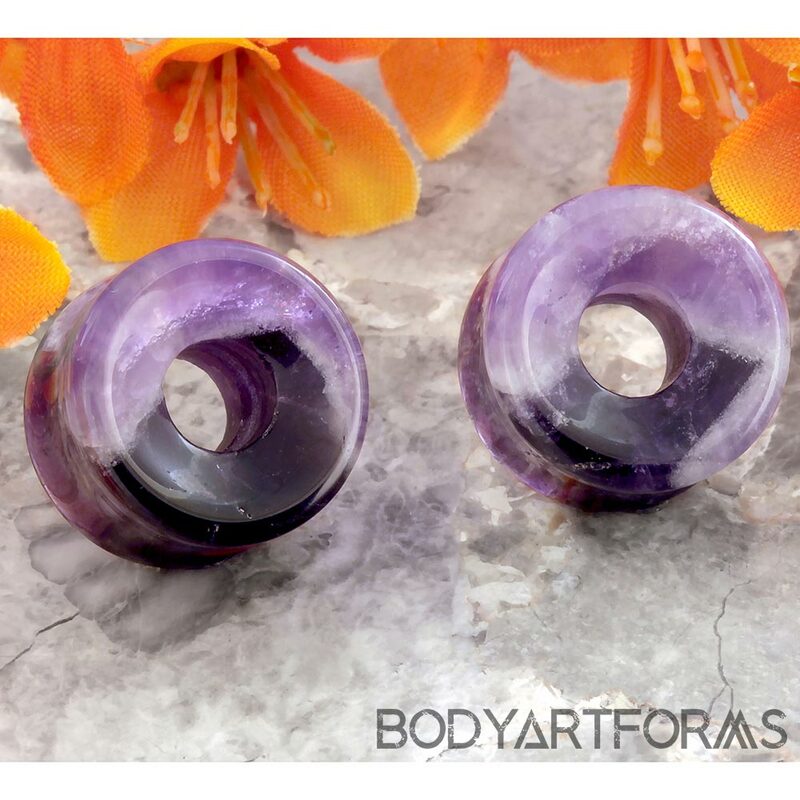 Amethyst Stone Double Flare Eyelets | Plugs | Gauges 5/8"
This unique pair of amethyst eyelets feature slices of both light and dark purple hues on one face, and deep, near black purple on the reverse. Due to the nature of amethyst, there is some naturally occurring crevices and slight pitting. This will not affect wearability. Be aware, these plugs have a short length, and a very small flare size.